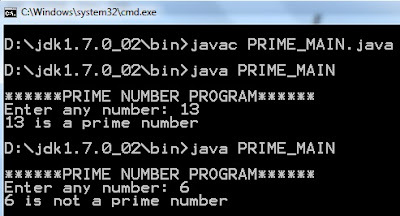 It is sample java example of prime number. In this java program user input any number. Program checks accepted number is prime number or not a prime number. Copy code and paste into notepad and save as "PRIME_MAIN.java". oh, good for me and other people.